A typical Bengaluru (Bangalore) rickshaw. Photo by Roy Sinai. Easy Auto is a fleet auto-rickshaw service that provides pre-paid and dial-an-auto-rickshaw service in Patna, the capital of the Indian state of Bihar. Established in 2007, Easy Auto is one of the early pioneers of the dial-an-auto-rickshaw concept in India, providing benefits to drivers and enhancing quality of service for passengers. Here, we sit down with Ms. Padmasree H. Sundaram, managing director of Easy Auto, to learn more about the service, its future growth plans, and what other cities can learn from it to improve the quality of urban transport services. What was the driving force behind starting this service? We realized that there is a gap in demand and supply between the passengers and available auto-rickshaws. It was our vision to bridge the gap by providing a communication platform between the passenger and driver to find the nearest auto-rickshaw. How is this service unique or different from other services in the auto-rickshaw sector in Indian cities? Auto-rickshaw services in most cities are unorganized in nature, where individual drivers compete against each other for the market. Our service is unique in organizing existing services into a fleet, which operates under a common brand and under stringent performance standards. We provide pre-paid and dial-a-rickshaw services under this brand, and also provide benefits to drivers, such as training and uniforms. How did you deal with the regulatory environment with regard to permits, when initiating your service? When the proposal for Easy Auto service was approved by the government, we worked with the regulatory environment in framing a government order for starting this service, which detailed the modalities for the operator. What kind of support did you receive from the local and/or state governments? Our experience in Bengaluru was vastly different from our experience in Patna. In Bengaluru, the bureaucracy wanted to work with us and was very supportive. But, the underlying political environment controlled by the auto-rickshaw unions limited the facilities that could be provided to us. In Patna, the bureaucracy did not have any problems in creating a conducive environment for launch of services. We now run the reserved auto-rickshaw services from our pre-paid booths and also service dial-an-auto-rickshaw requirements. We have also proposed to the government that we will provide solutions for the shared auto-rickshaw services so that we can organize them and make the drivers accountable. What are some of the key benefits that have resulted for passengers from your service? In Patna, we have been able to give service to customers at reasonable rates. We have been able to create a difference to the passenger by ensuring standardization in rates and service, apart from being able to ensure that we offer a safe ride. How has the situation improved for drivers from Easy Auto service? For the driver, we have been able to increase earnings by providing them parking in passenger catchment areas. We have also been able to give them branding by introducing uniforms, which was not there in Patna earlier. 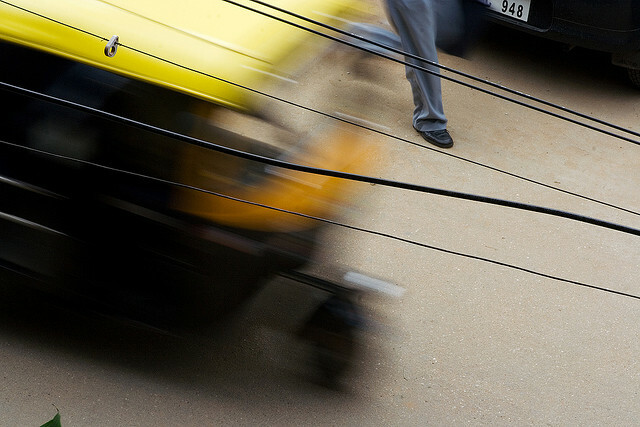 How do you ensure environmental performance of auto-rickshaws in your service? There are absolutely no empty runs (runs without passengers) on any of our vehicles. This eliminates excess emissions from empty or dead kilometers. We are also giving training to drivers to ensure timely inspection and maintenance of their vehicles, which enhances environmental performance and life of vehicles. What are your plans for future growth? What do you think are the avenues available for financing this growth? Financing is the largest challenge that we have been facing on the growth. We are working on this and hope to crack a solution in the near future. In Bengaluru, we have applied to the government for permission to launch our own fleet of vehicles. In Patna, we are planning to increase the number of counters so that we can cover more of the city from points that are closer to the need. We are also planning to organize the shared auto-rickshaw system that is existing in Patna to make it more accountable. What are some of the key challenges that you are facing that need to be addressed by regulatory and other stakeholders working in this sector? Implementing such a service in large cities like Bengaluru has been challenging. Regulatory issues, such as the stringent rules in the permit system, and the institutional environment, such as the grip of unions in the market, are the biggest challenges that service providers are facing currently. It is therefore important that there is a larger debate on the benefits of such services and solutions to address challenges. What can other cities in India learn from your initiative to improve the quality of urban transport services? My take on this would be that our experiment in Patna and the G-Auto service in Gujarat need to be taken as examples of successful implementation, and the regulatory bodies in larger cities need to look at our efforts in other markets without belittling them as mere coincidences. In Bengaluru, the attitude has been that we will look at a successful model in Singapore, but we will not look at what we have to learn from Ahmedabad or Patna.